For a FREE Gutter Vacuuming Service quotation please contact us. Damp Proofing by Gutter Vacuuming can protect your property from damp. When a rain gutter becomes blocked the water will find the shortest way to the ground usually this is down the wall or in the worst scenario into the house under the roof. In most cases this can result in expensive damp proofing and repairs to damp damage or even fungus damage in the plaster work in the house. I most cases the rain gutter is not recognised as the culprit and other expensive remedies are tried before it becomes apparent that the fault is simply that the rain guttering needs to be cleared. 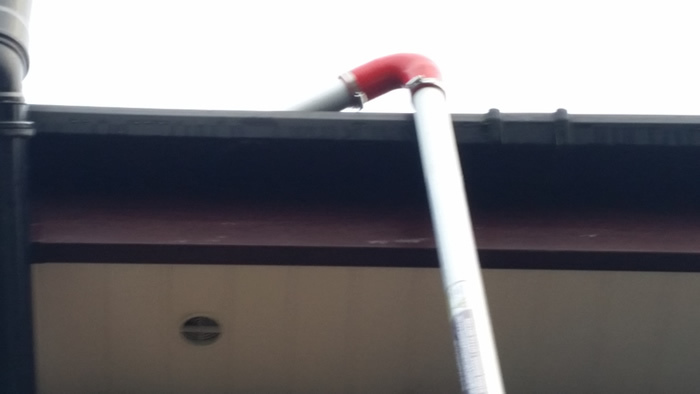 So have your rain guttering cleared in the most effective way by simply contacting us for a gutter vacuuming session it wont take long and will not be expensive compared to the damage a overflowing rain gutter can cause.